"You know I was interested in getting involved. The only reason I was organizing was to help advance our position ... I’ve been in the government since 79 and the community has been my second full time job for a long time." "The community has often perceived me as a political person. I don’t perceive myself as such. I’m an organizer ... I felt very comfortable supporting an effort that would emphasize and highlight the black community. " Her involvement with the African-American gay community began in 1978 with the newly organized DC Coalition of Black Gays. In short order, she joined the Gay and Lesbian Activists Alliance, Gertrude Stein, the Sapphire Sapphos, Black and White Men Together, and the Langston Hughes- Eleanor Roosevelt Democratic Club. Through the 1980s and 1990s Cheatam seemed to be everywhere organizing events and campaigns in the community. 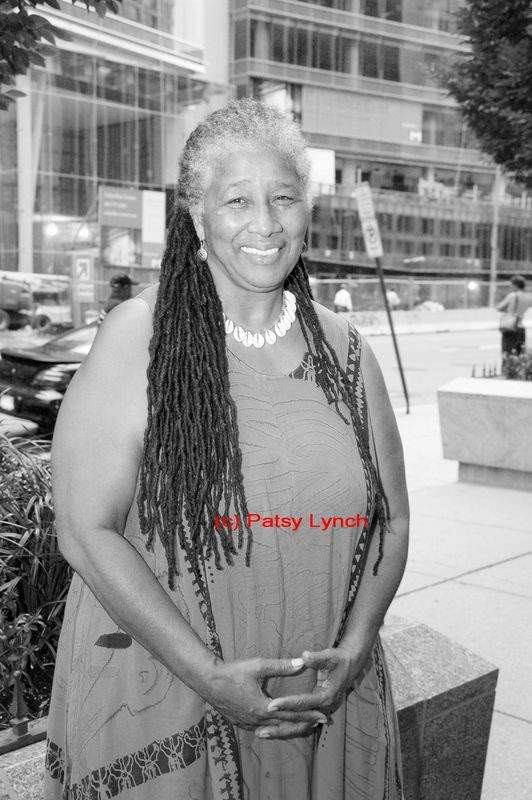 In 1983, she coordinated the gay community’s Pride festival for the P St. Festival organization. The festival at the Francis School was the largest festival up to that time and under Cheatam greatly increased the involvement of women and people of color. Eight years later she was at the center of organizing the first Black Pride celebration at Banneker Field as a board member with particular responsibility for reaching out to lesbians. That year she was recognized as Woman of the Year by the first Black Pride. The following year she was a principal organizer of the Black Pride festival which more than tripled the previous year’s fundraising for AIDS organizations. Her role in establishing the annual Black Pride festival remains one of Cheatam’s proudest accomplishments. Under Mayor Williams, Cheatam was both Director of the Office of the Public Advocate and the Mayor’s first Special Assistant for Gay and Lesbian Affairs, creating an office and a role that has become a major link between the community and the mayors.